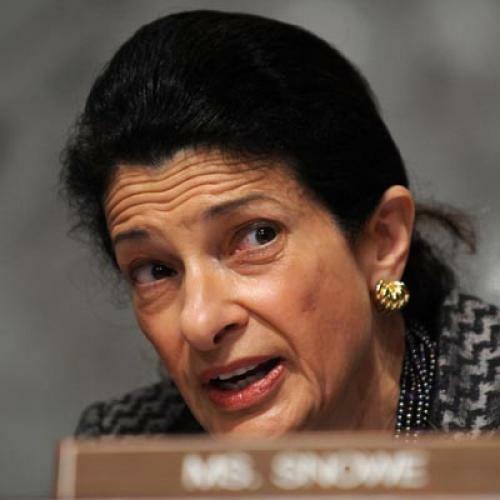 Could Snowe Vote "No" in Committee? Senator Kent Conrad's smack-down of Senator Jim Bunning provided one of the few entertaining episodes in this week's Finance Committee hearings. But another moment during the same debate, one involving Senator Olympia Snowe, deserves some attention, as well. For those who missed it, the debate was over Bunning's proposal that Finance wait for final legislative language before holding its final vote on a health reform bill. (Typically Finance crafts its bills in plain English and converts to legalese only after approval.) Bunning's amendment failed as the Democrats, including Conrad, voted almost unanimously against it. But Snowe voted with Bunning and made an explicit plea for more time, noting that the Congressional Budget Office had recently said it needed two weeks to produce its final cost estimate. "If it takes two more weeks, it takes two more weeks. ... I don't understand, what is the rush? ... I want to know what the final number is on any bill that I vote on in this committee." Why did Snowe do this? I've heard two different interpretations. The Snowe vote on Bunning's amendment may have been her absolute preference but there is also a long tradition in Finance of using plain English and then making sure the legislative language conforms to the English they agreed to on committee. ... Most likely Snowe was just showing solidarity with her Republican colleagues on a procedural matter, for all else regarding amendments and provisions included in the Chairman's mark and frankly body language throughout the markup so far would suggest she's preparing to vote for the final package out of committee, as long as Democratic amendments don't take it too far from where it is (or where she would like to take it) on the issues she cares most about. But there's another interpretation: That Snowe was trying to create a pretext for voting "no" on the bill in committee. To be sure, such a vote wouldn't mean she's giving up on reform altogether. In fact, virtually everybody seems to think she’s serious about voting for a bill once it’s on the floor (depending, of course, on what changes are made). But, by voting no in committee, Snowe would preserve maximum leverage for later in the process while, perhaps, subduing a few of her critics on the right. If Snowe doesn't support the bill in committee, are the Finance Democrats really going to vote out a bill that doesn't reflect Democrat values--the public plan, pay or play, etc. At a minimum they should put more pay-fors in the bill--including the President's proposal on capping itemized deductions--to improve the affordability provisions. If they don't put more money in, it will be very difficult for Reid to fix the affordability when he merges the bills. Senate Finance needs to give him the pay-fors. I don't know which argument is correct, in part because I'm not sure anybody knows what Snowe is really thinking. And that includes Snowe. She's a human being, prone to both conflicted feelings and changing her mind. It may well be she’s keeping her options open, for the moment. But it's a storyline worth watching and, if you’re a liberal strategist, a set of scenarios worth contemplating.